Thank you so much for all your lovely comments on the last post - I hugely enjoyed reading what you're reading and listening to. 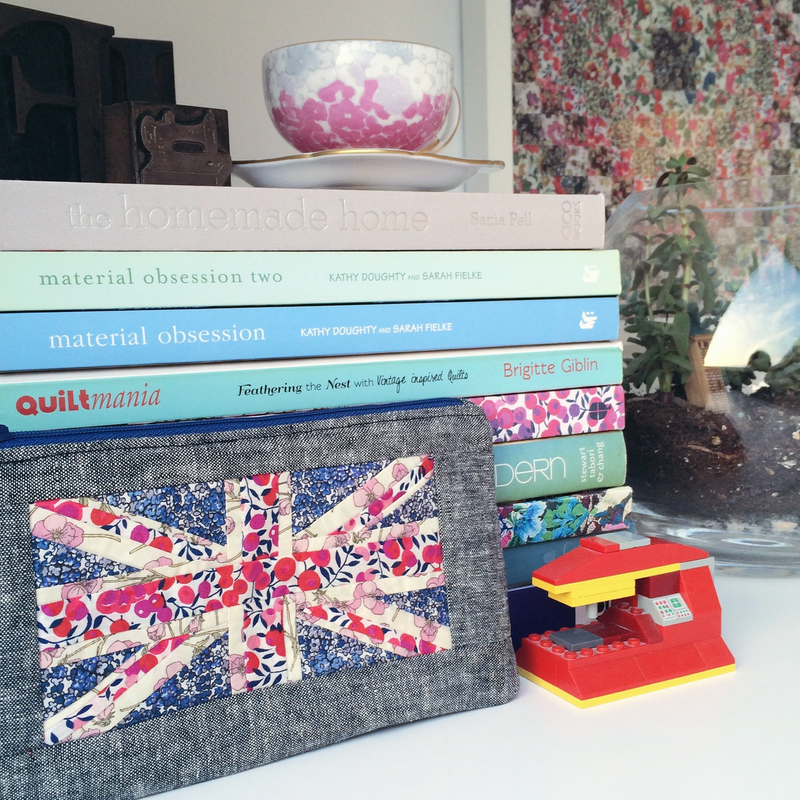 Kim B is our winner who wrote: Oooh, love to discover new UK fabric shops! As for what I'm reading, after finishing your recommendation of "Love, Nina" by Nina Stibbe, I moved on to Alan Bennett's journals! (well, the two books of his collected writings, which include his journals). I kept waiting for him to refer to Mary-Kay's nanny Nina, but it never happened. But he did talk about Mary-kay and Sam! in paper book fashion, I'm finally indulging in my first John-Banville-as-Benjamin-Black murder mystery and wondering what took me so long!! Kim's comment may make very little sense to anyone who hasn't read 'Love, Nina', but I loved it as I know that I would have read Alan Bennett's journals waiting for him to mention Nina too. Kim, please do send me your address and I'll pass it on to Fabric HQ who will despatch your goodies. This is what I'm currently working on - it's some english paper piecing, which I'm also intending to write up a pattern for, if anyone might be interested. It's not quite finished yet though as it's taking a frustratingly long time for me to decide on just the right colours for the next round of shapes. It uses some Liberty prints and some solid Oakshotts. You wouldn't believe quite how many things I cut out or even sew together and then realise that I'm not happy with the colours. All of the rosettes below (I actually made three of the patterned rosettes in the first photo, before deciding I wasn't happy with them! ), won't actually be used. I think by the time it's finished I may have enough rejects to create a whole 'B-side' version though! Despite being so indecisive, I'm enjoying it hugely though and it's fun to be working with some shapes that are different from those in my Passacaglia quilt, as they've been my sole focus for the last six months and I decided I needed a brief break from them. My new project still involves a little bit of fussy-cutting, but isn't dominated by it, which again, I'm finding feels refreshing. 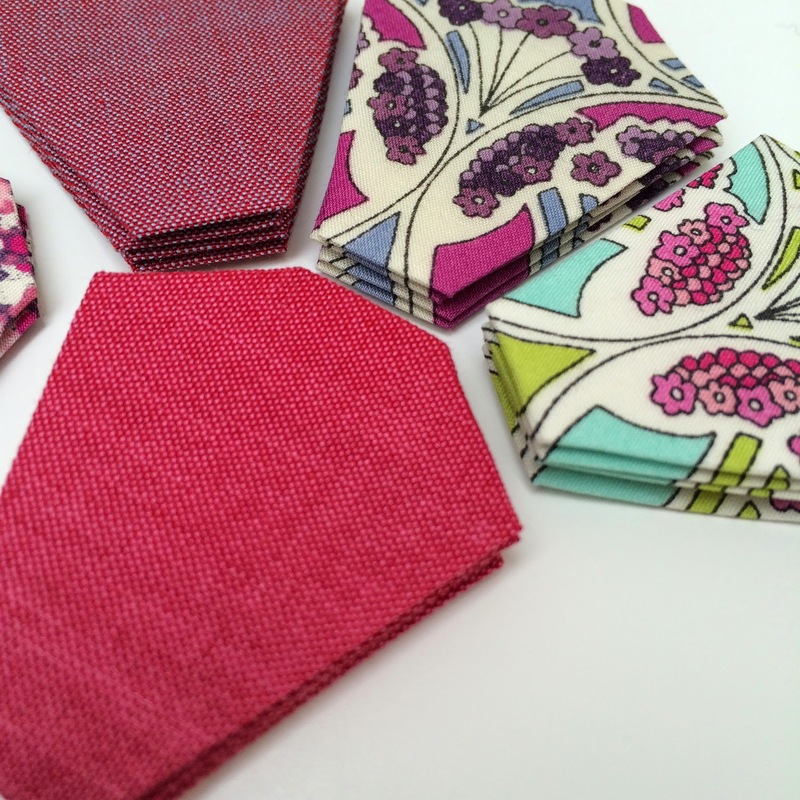 This is just a really quick post to invite you to leave a comment to have the chance to win these gorgeous fabrics from my sponsor, Fabric HQ, who have recently launched a shiny new website, as well as opening up a real-life, you-can-actually-touch-it shop in Buckinghamshire. I know many people are hideously offended by thinking about Christmas in October, but for me, the moment three family birthdays are over at the end of September, my thoughts turn to how excited I feel about Christmas, so these bundles are unapologetically seasonal! However, I've already seen some people beginning Christmas sewing over on Instagram, so I do wonder whether sewists are naturally willing to embrace the whole thing earlier, just because we sometimes need longer to prepare our gifts if we're making them! There's a fairly well-padded Christmas section, but I also love this 'Autumnal Woods' panel, which actually looks deliciously wintry to me. 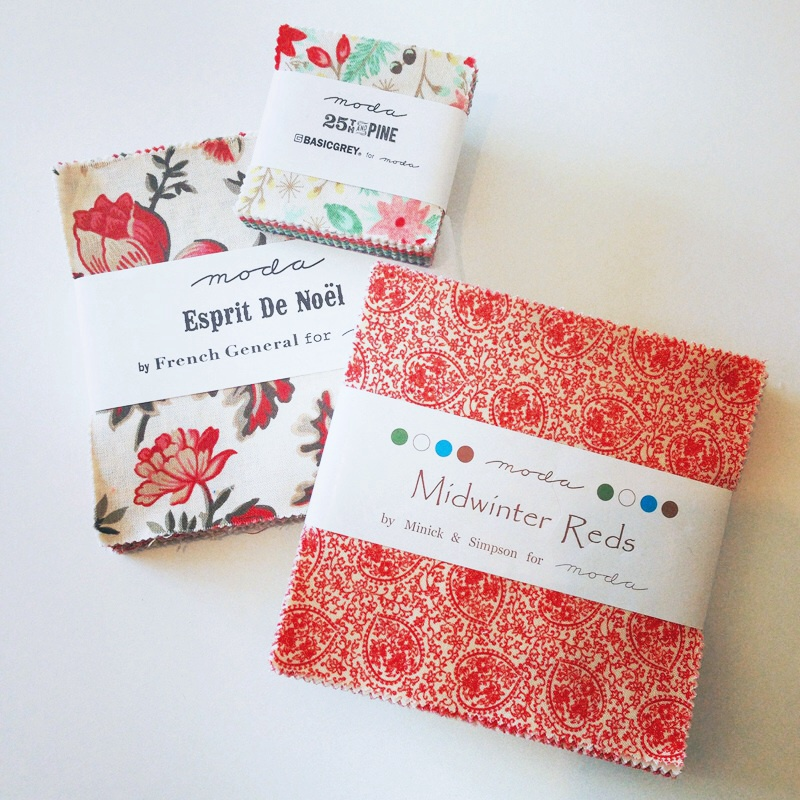 But when not thinking about Christmas, Fabric HQ do offer a fantastic selection of fabrics. 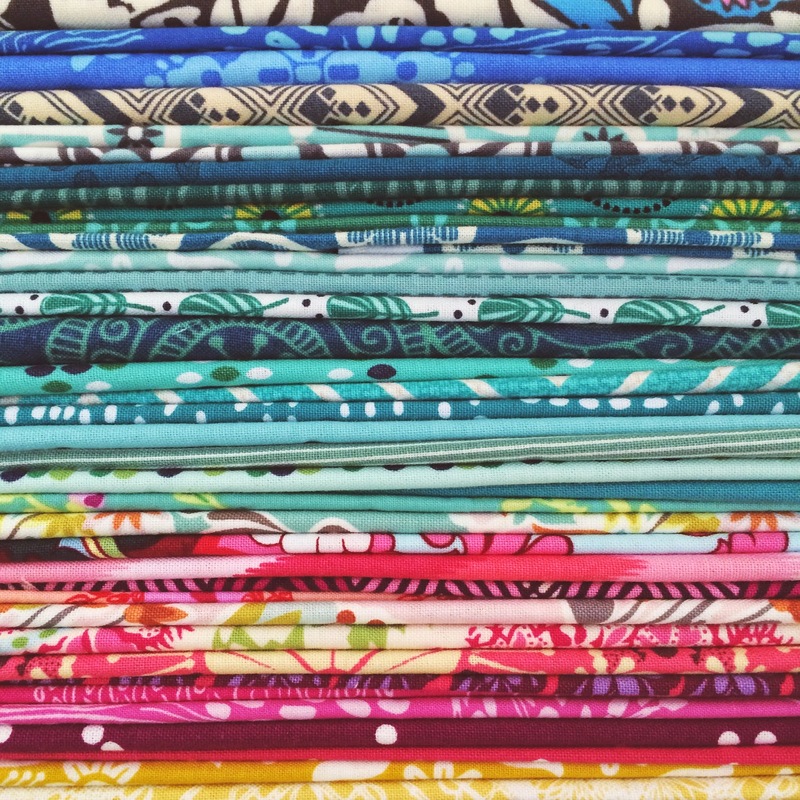 From memory, most of the prints in this stack are ones that I bought there when I first started on my Passacaglia quilt six months ago. But they also do some amazing dressmaking fabrics (rabbits and hares, and leaves!). If you want to keep track of what's coming and going at Fabric HQ you can sign up to their newsletter by clicking on the button that's right at the bottom of every page on their website. Anyway, how to enter - I'd love it if you'd leave me a comment telling me what you're enjoying reading, listening to or looking at, recently. Personally, I'm currently reading the newly published 'Us' by David Nicholls, author of the book (and now film), One Day. My sister actually sent me an Amazon gift voucher (with an incredible dancing dogs animation and a 'happy birthday' message even though it's not my birthday until March. It was quite thrilling - she knows just what's going to delight me) for this book so that I could download it to my Kindle and read it at the same time as her. We're both unsure of how much we love the characters yet, but we're both huge fans of David Nicholls' writing. I'm also reading-by-proxy, Bounce: the Myth of Talent and the Power of Practice by Matthew Syed (by proxy as I bought it for my husband, but he's relaying it to me chapter-by-chapter as he reads and we've discussed the ideas in it so much that I feel like I've read it myself - it's a sports psychology book and a really inspiring, empowering and fascinating read, irrespective of whether you have a direct interest in sport - so much of what's written in it is applicable to wider life). I'll announce a winner next week. Rae is happy to post the fabric to anywhere in Europe. Really looking forward to reading what you're enjoying at the moment. I made this a few weeks ago at my daughter's request, as she said that she'd really love something with a Liberty print Union Jack on it for her birthday. Coincidentally, it was around the time of the Scottish independence referendum when there was a lot of discussion about how the Union Jack would change if the Scottish St Andrew's element were to be removed, so while I was sewing I realised that it may be a last opportunity to sew it while it was still in circulation as our current flag. However, as a fairly unpatriotic person, I don't feel any real attachment to the Union Jack for what it represents, but I do feel a huge affection for it from a sewist's perspective. 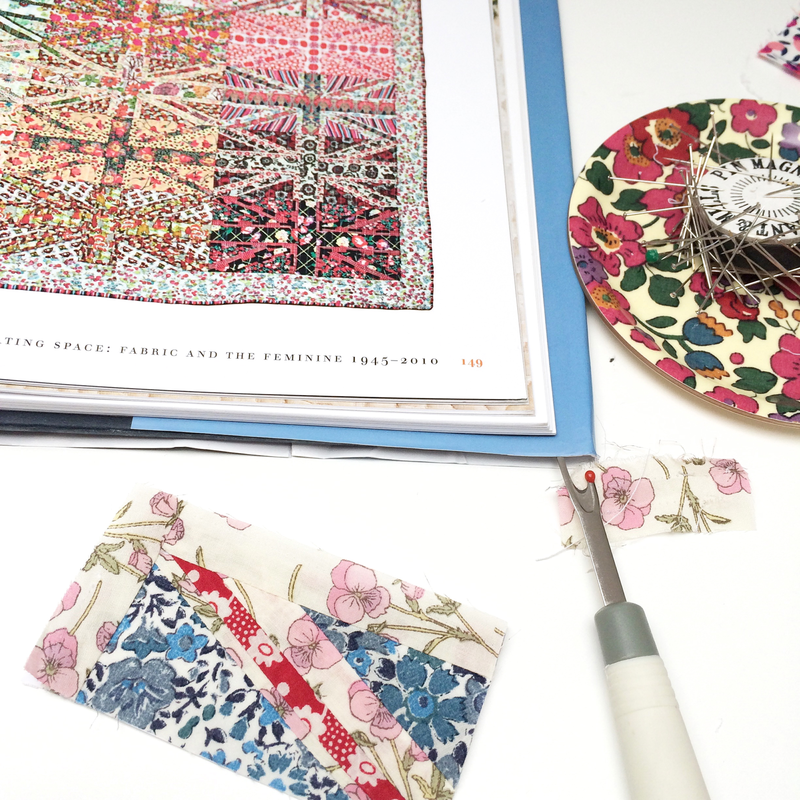 The way the pieces interconnect, the potential for using different fabrics, the variation in thickness of lines - they all combine to make it a perfect focus for patchwork. Several years ago, like many others, I fell in love with Janey Forgan's Liberty Jack quilt, which was shown as part of the V&A's Exhibition, 'Quilts 1700 - 2010'. You can see a little corner of it in the book I had out while I was sewing here (the book doesn't give a pattern for the quilt as it's a book discussing the pieces at the exhibition, rather than a pattern book) or see it in full in this old post. My finished Union Jack measured, from memory, just less than 5" x 2.5", so I decided to foundation piece it as some of the strips were too small for English paper piecing. I've done foundation paper piecing a few times in the past and never really enjoyed it as the whole process feels so counter-intuitive, but this time I felt quite delighted by it - perhaps because it was enabling me to do something that I couldn't do at that scale any other way - I'm normally a fan of anything that facilitates me working in miniature or with fiddly pieces. 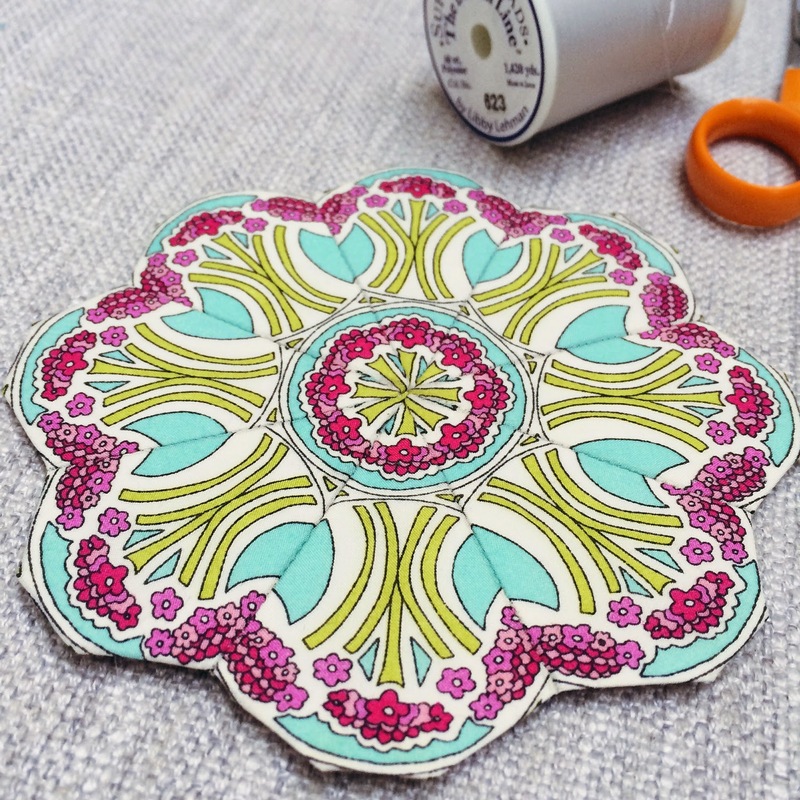 [If you're not sure of the difference between foundation paper piecing and English paper piecing: the former is where you machine sew fabrics onto a printed paper template, whereas English paper piecing is where you wrap fabrics around paper templates and then sew them together by hand - the method I use most of the time in my sewing]. 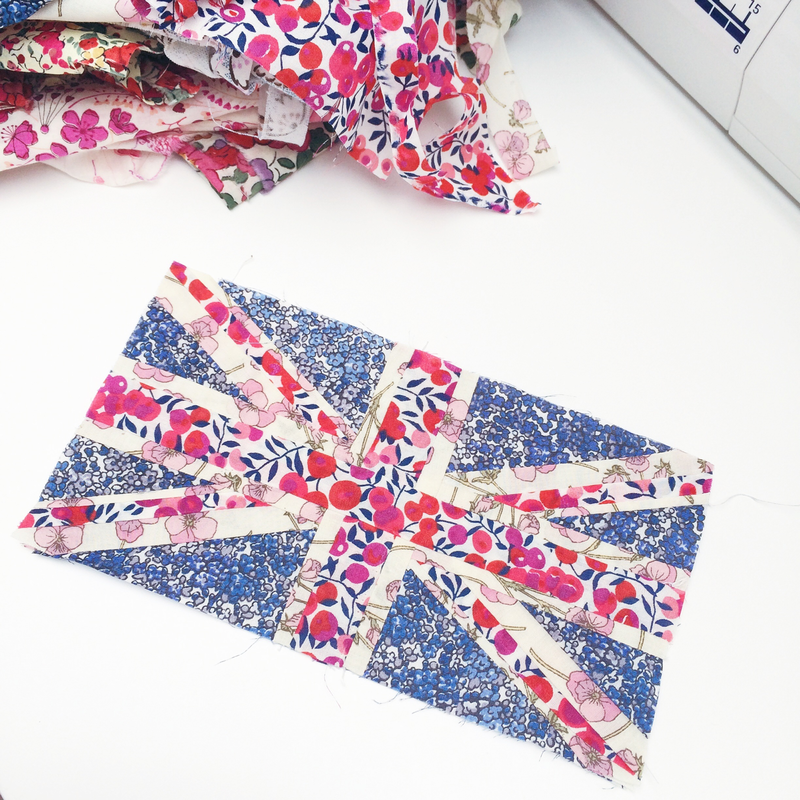 It was very much trial and error as it was my own Union Jack print out and my own learn-as-you-go methods. However, afterwards Kerry gave me lots of helpful tips which I'll try out next time I do some foundation piecing. 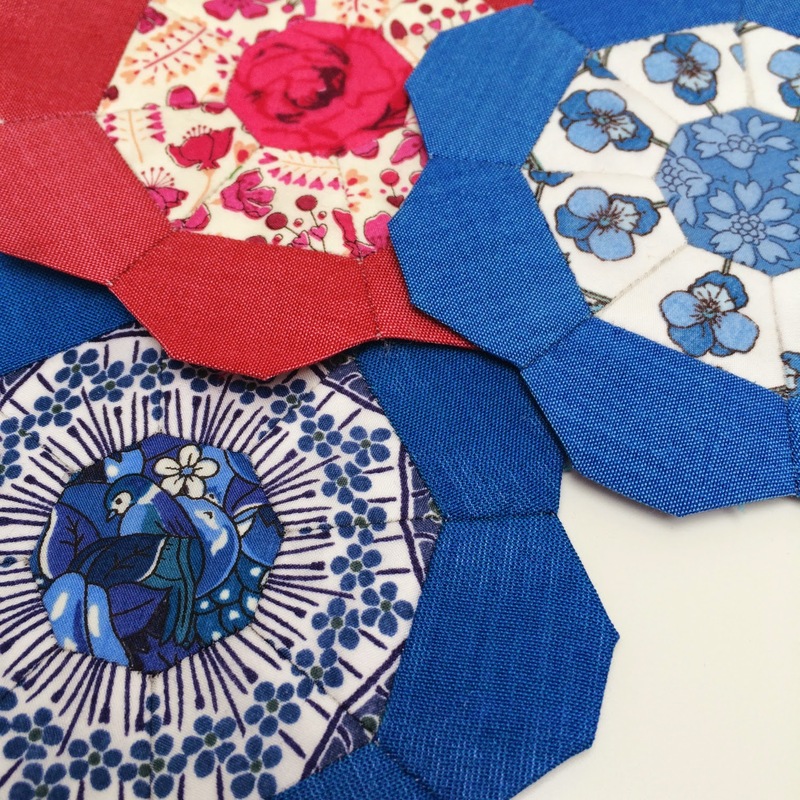 If you're new to FPP too or thinking of dabbling with it, you can find all Kerry's foundation paper piecing tips and tutorials here and one that particularly helps with dealing with templates for diagonals, which feature heavily in a Union Jack, here. Kerry also has patterns in the shop which she co-runs, Sew Ichigo, which look to come with full instructions so are probably perfect for beginners as well as experienced FPPers. 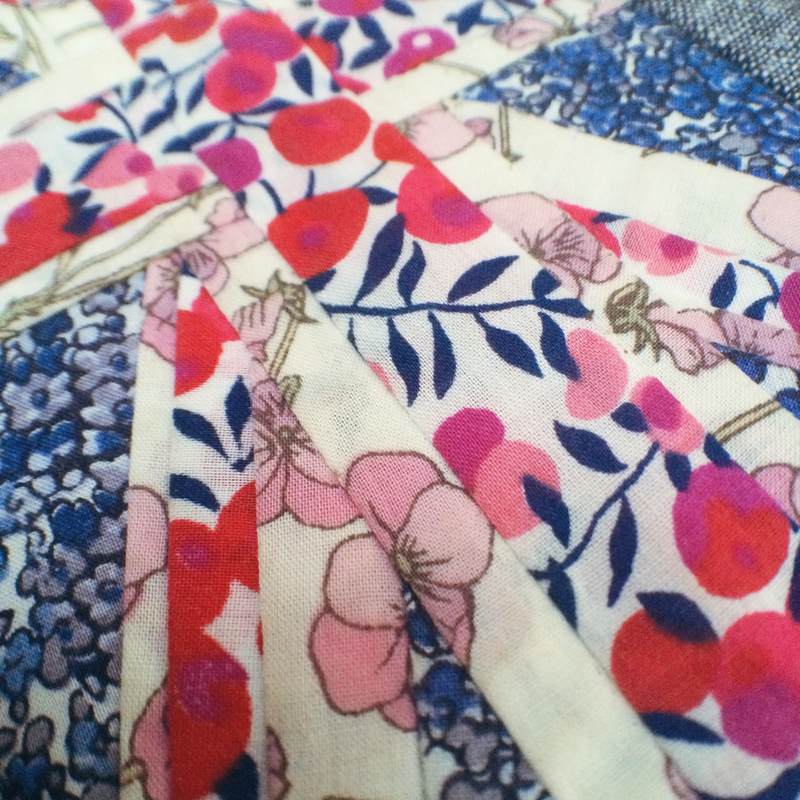 I used the Union Jack panel to make a little zippered p-o-u-c-h (There. And breathe. Such a hideous word) for my daughter. I'm really tempted to make a whole mini-quilt of them though. Since having more plain white walls of my own to decorate, I feel much more taken with the idea of making some mini-quilts and my husband has also requested some, for practical purposes, for his own walls. When we had the extra layer of rooms added to our house, he turned our daughter's old bedroom into an office/music room. Even though it's tiny, with no soft furnishings in there it has dreadful acoustics for recording any music - it seems that a wall of quilts would be the perfect thing for dampening the sound down, although they'll need to be Manly Quilts, which I'm not sure are so much about pastel Liberty prints and possibly more about some Parson Gray. 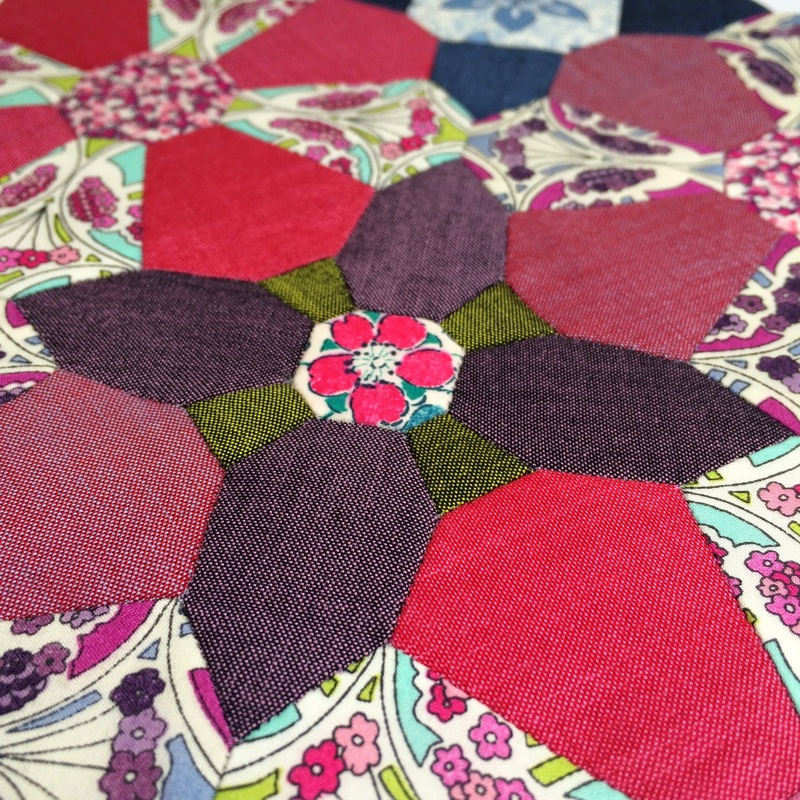 Have you seen any quilt patterns that have an Esher feel to them maybe?